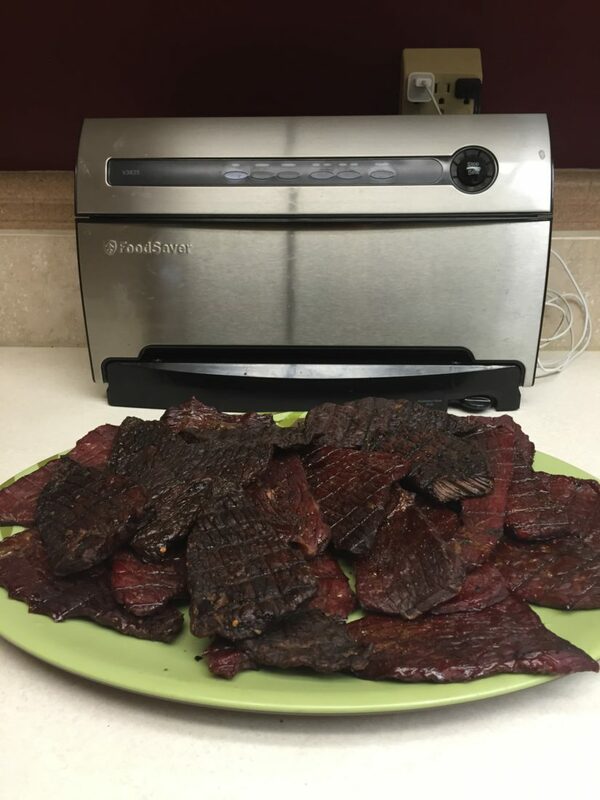 Living in Washington State there are a lot of waterfalls to hike to.But before we head out we always pack some Pepper Jerky for snacking on. Lay the thin sliced strips on a platter and sprinkle seasoning on both sides.Lay the strips in your container. Cover and sit in refrigerator for up to twenty four hours. Next day have the smoker racks sprayed with olive oil and lay sliced meats out without overlapping.Leave on counter for up to one hour to start the drying process. OK we are ready to put the meat in the smoker. Load trays in smoker start it up at 160 degrees with no smoke and leave the smoker door cracked for first hour. 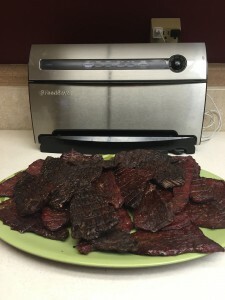 ( This will allow for some of the moisture to leave the smoker ) Do not use the water tray for jerky. Next crank up the smoker to 225 with smoke on and smoke for 2 to 3 hours depending on the thickness of the meat. Smoke till internal temp reaches 165 for safe eating.